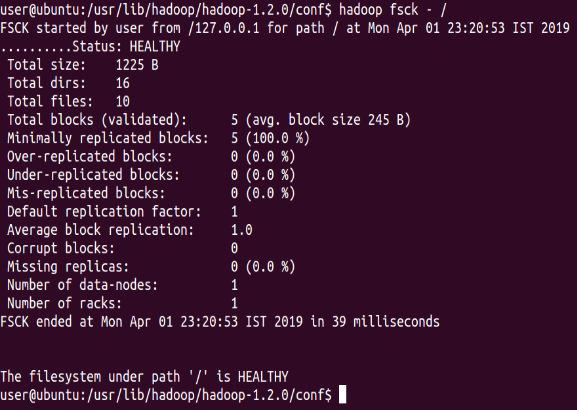 What is HDFS Block in Hadoop? Which type of data Hadoop can deal with? 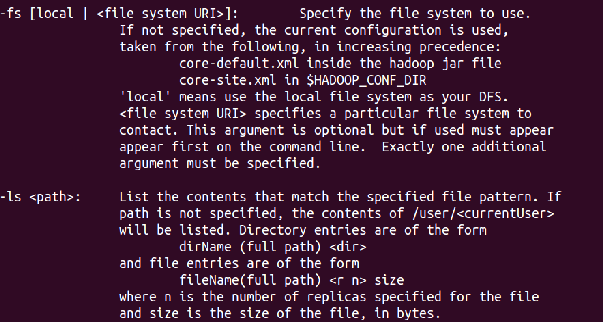 Which command is used to format HDFS? The HDFS command to create the copy of a file from a local system is which of the following? HDFS block placement will use ______ for fault tolerance. Which of the following is the daemon of HDFS? What will be the Replication Factor to compute MapReduce job. Given - Hard disk size per data node = 40 No. of nodes 40 Total amount of data = 100Tb. Which of the following is the true about metadata? IBM and ________ have announced a major initiative to use Hadoop to support university courses in distributed computer programming. 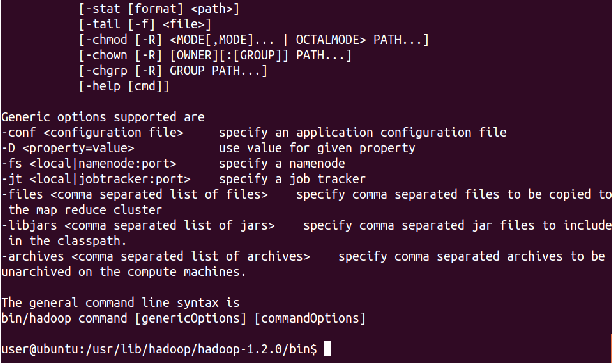 Which statement is true about passive NameNode in Hadoop? replica is preferred to satisfy the read request. replica is not preferred to satisfy the read request. that replica is preferred over any remote replica. To improve the Network Bandwidth. To keep the Bulk data in Rack when possible. One of _____ Hadoop clusters sorted 1 terabyte of data in 209 seconds, which beat the previous record of 297 seconds in the annual general purpose (Daytona) terabyte sort benchmark. When the NN will enter in pipeline mode ? When all the copies are not successfully written then NN will not accept the ACK request from the client. When Replication of Data Block does not occur. When the NN will not receive Block report messages from the DN. 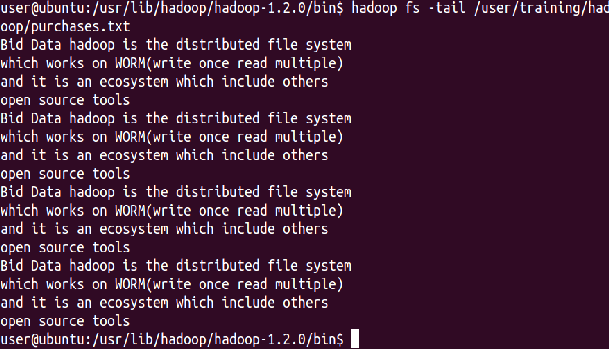 The client reading the data from HDFS filesystem in Hadoop does which of the following? In which process duplicate task is created to improve the overall execution time? Suppose file content is- "on the top of the Tree" then, what is key and value? Which file contains the entire file system namespace, including the mapping of blocks to files and file system properties? Which of the following scenario may not be a good fit for HDFS ? Which among the following is the correct statement? 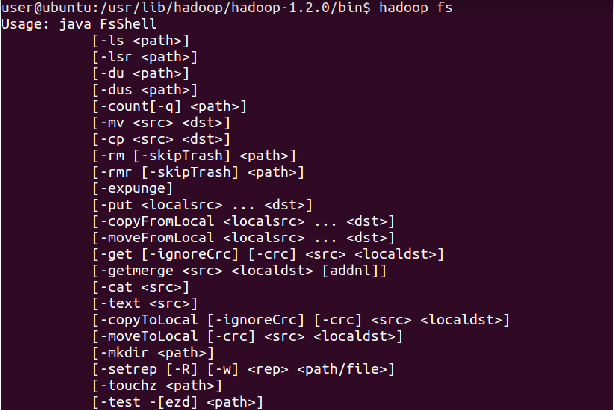 Arrange the steps to start & shut the Hadoop clustor – i. Format the new distributed filesystem ii. Start HDFS with the cmd, run on the designated NameNode. iii. Stop HDFS with the cmd, run on the designated NameNode. iv. Start the MapReduce with the cmd, run on the designated JobTracker. v. Stop the MapReduce with the cmd, run on the designated JobTracker. When DN sends signal to NM, due to network traffic NN assumes DN is dead. When NM enters the special state. When Job Tracker is not getting data by the Task tracker. ________ is a server based Bundle Engine that provides a higher-level oozie abstraction that will batch a set of coordinator applications. Oozie Workflow jobs are Directed ________ graphs of actions. A workflow definition is a ______ with control flow nodes or action nodes. Which of the following workflow definition language is XML based ? Which of the following is one of the possible state for a workflow jobs ? Oozie can make _________ callback notifications on action start events and workflow end events. __________ nodes are the mechanism by which a workflow triggers the execution of a computation/processing task. Nodes in the config _____________ must be completed successfully. Workflow with id __________ should be in SUCCEEDED/KILLED/FAILED. ________ nodes that control the start and end of the workflow and workflow job execution path. _____________ will skip the nodes given in the config with the same exit transition as before. A workflow definition must have one ________ node. Node names and transitions must be conform to the following pattern =[a-zA-Z][\-_a-zA-Z0-0]*=, of up to __________ characters long. If one or more actions started by the workflow job are executing when the ________ node is reached, the actions will be killed. All decision nodes must have a _____________ element to avoid bringing the workflow into an error state if none of the predicates evaluates to true. Which of the following can be seen as a switch-case statement ? A ___________ node enables a workflow to make a selection on the execution path to follow. ___________ properties can be overridden by specifying them in the job-xml file or configuration element. If the failure is of ___________ nature, Oozie will suspend the workflow job. The ___________ attribute in the join node is the name of the workflow join node. PIG is procedural, not table form and SQL is declarative, table form. It is a place for PIG user’s to share their functions. It is a place for PIG user’s to change the functions. What are the different complex data types in PIG? What are the cases where PIG is more demanded? Using______ shell you can run and execute your PIG scripts in the shell. 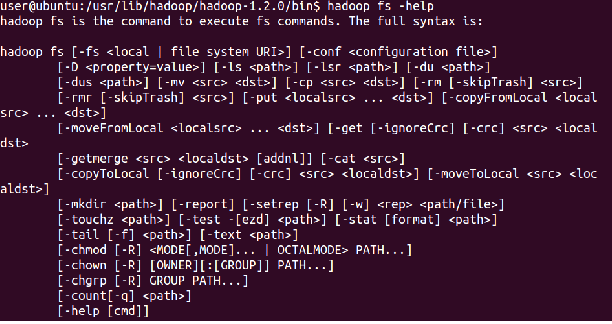 PIG is build on ______ of Hadoop and installed on ________ machine. You can run Pig in interactive mode using the ______ shell. $ pig -x tez_local … will enable ________ mode in Pig. Which of the following operator is used to view the map reduce execution plans ? __________ is a framework for collecting and storing script-level statistics for Pig Latin. The ________ class mimics the behavior of the Main class but gives users a statistics object back. Which of the following will compile the Pigunit ? __________ is a simple xUnit framework that enables you to easily test your Pig scripts. Pig Latin is _______ and fits very naturally in the pipeline paradigm while SQL is instead declarative. Which of the following is an entry in jobconf ? Which of the following script is used to check scripts that have failed jobs ? "a = load '/mapred/history/done' using HadoopJobHistoryLoader() as (j:map, m:map, r:map); b = foreach a generate (Chararray) j#'STATUS' as status, j#'PIG_SCRIPT_ID' as id, j#'USER' as user, j#'JOBNAME' as script_name, j#'JOBID' as job; c = filter b by status != 'SUCCESS'; dump c;"
"a = load '/mapred/history/done' using HadoopJobHistoryLoader() as (j:map, m:map, r:map); b = foreach a generate j#'PIG_SCRIPT_ID' as id, j#'USER' as user, j#'JOBNAME' as script_name, (Long) r#'NUMBER_REDUCES' as reduces; c = group b by (id, user, script_name) parallel 10; d = foreach c generate group.user, group.script_name, MAX(b.reduces) as max_reduces; e = filter d by max_reduces == 1; dump e; "
"a = load '/mapred/history/done' using HadoopJobHistoryLoader() as (j:map, m:map, r:map); b = foreach a generate j#'PIG_SCRIPT_ID' as id, j#'USER' as user, j#'QUEUE_NAME' as queue; c = group b by (id, user, queue) parallel 10; d = foreach c generate group.user, group.queue, COUNT(b); dump d;"
Which of the following scripts that generate more than three MapReduce jobs ? "a = load '/mapred/history/done' using HadoopJobHistoryLoader() as (j:map, m:map, r:map); b = group a by (j#'PIG_SCRIPT_ID', j#'USER', j#'JOBNAME'); c = for b generate group.$1, group.$2, COUNT(a); d = filter c by $2 > 3; dump d; "
"a = load '/mapred/history/done' using HadoopJobHistoryLoader() as (j:map, m:map, r:map); b = display a by (j#'PIG_SCRIPT_ID', j#'USER', j#'JOBNAME'); c = foreach b generate group.$1, group.$2, COUNT(a); d = filter c by $2 > 3; dump d; "
"a = load '/mapred/history/done' using HadoopJobHistoryLoader() as (j:map, m:map, r:map); b = group a by (j#'PIG_SCRIPT_ID', j#'USER', j#'JOBNAME'); c = foreach b generate group.$1, group.$2, COUNT(a); d = filter c by $2 > 3; dump d; "
Which of the following find the running time of each script (in seconds) ? "a = load '/mapred/history/done' using HadoopJobHistoryLoader() as (j:map, m:map, r:map); b = foreach a generate j#'PIG_SCRIPT_ID' as id, j#'USER' as user, j#'JOBNAME' as script_name, (Long) j#'SUBMIT_TIME' as start, (Long) j#'FINISH_TIME' as end; c = group b by (id, user, script_name) d = foreach c generate group.user, group.script_name, (MAX(b.end) - MIN(b.start)/1000; dump d; "
"a = load '/mapred/history/done' using HadoopJobHistoryLoader() as (j:map, m:map, r:map); b = for a generate j#'PIG_SCRIPT_ID' as id, j#'USER' as user, j#'JOBNAME' as script_name, (Long) j#'SUBMIT_TIME' as start, (Long) j#'FINISH_TIME' as end; c = group b by (id, user, script_name) d = for c generate group.user, group.script_name, (MAX(b.end) - MIN(b.start)/1000; dump d; "
"a = load '/mapred/history/done' using HadoopJobHistoryLoader() as (j:map, m:map, r:map); b = foreach a generate j#'PIG_SCRIPT_ID' as id, j#'USER' as user, j#'QUEUE_NAME' as queue; c = group b by (id, user, queue) parallel 10; d = foreach c generate group.user, group.queue, COUNT(b); dump d; "
Pig can invoke code in language like Java Only. Pig enables data workers to write complex data transformations without knowing Java. Pig’s simple SQL-like scripting language is called Pig Latin, and appeals to developers already familiar with scripting languages and SQL. Pig is complete, so you can do all required data manipulations in Apache Hadoop with Pig. Which of the following code is used to find scripts that use only the default parallelism ? Which of the following operator executes a shell command from the Hive shell ? What is the drawback of managed tables in hive. Hive supports row-level Insert/update and Delete using the ACID features only on which file format? Hive specific commands can be run from Beeline, when the Hive _______ driver is used. The ________ allows users to read or write Avro data as Hive tables. Starting in Hive _______, the Avro schema can be inferred from the Hive table schema. Which of the following data type is supported by Hive ? Which of the following data type is converted to Array prior to Hive 0.12.0 ? Integral literals are assumed to be _________ by default. Hive uses _____-style escaping within the strings. Which of the following statement will create column with varchar datatype ? Hive does not support literals for ______ types. Types that may be null must be defined as a ______ of that type and Null within Avro. Hive uses _________ for logging. Which of the following will remove the resource(s) from the distributed cache ? In ______ mode HiveServer2 only accepts valid Thrift calls. _______ supports a new command shell Beeline that works with HiveServer2. Use ________ and embed the schema in the create statement. Serialization of string columns uses a ________ to form unique column values. _________ function is responsible for consolidating the results produced by each of the Map() functions/tasks. ___________ part of the MapReduce is responsible for processing one or more chunks of data and producing the output results. You have written a Mapper which invokes five calls to the OutputColletor.collect method: output.collect (new Text ( Apple ), new Text ( Red ) ) ; output.collect (new Text ( Banana ), new Text ( Yellow ) ) ; output.collect (new Text ( Apple ), new Text ( Yellow ) ) ; output.collect (new Text ( Cherry ), new Text ( Red ) ) ; output.collect (new Text ( Apple ), new Text ( Green ) ) ; How many times will the Reducer's reduce method be invoked? ________ is a utility which allows users to create and run jobs with any executables as the mapper and/or the reducer. _________ maps input key/value pairs to a set of intermediate key/value pairs. When is the reduce method first called in a MapReduce job? _________ is the default Partitioner for partitioning key space. On a cluster which runs MapReduce v1 (MRv1), a TaskTracker heartbeats into the JobTracker and alerts the JobTracker it has an open map task slot. What determines how the JobTracker assigns each map task to a TaskTracker? What data does a Reducer's reduce method process? Which of the following phases occur simultaneously ? You need to perform a statistical analysis in your MapReduce job and would like to call methods in the Apache Commons Math library, which is distributed as a 1.3 megabyte Java archive (JAR) file. Which is the best way to make this library available to your MapReducer job at runtime? _________ is the primary interface for a user to describe a MapReduce job to the Hadoop framework for execution. You are developing a combiner that takes text keys and IntWritable values as input and emits text keys and IntWritable values. Which interface should your class implement? You develop a MapReduce job for sales reporting. The Mapper will process input keys which represent the year (IntWritable) and input values represent product identifiers (Text). Identify what determines the data types used by the Mapper. How are keys and values presented and passed to Reducers during a standard sort and shuffle phase of MapReduce? Assuming default settings, which best describes the order of data provided to a Reducer's reduce method? You have written a MapReduce job that will process 500 million input records and generate 500 million key-value pairs. The data are not uniformly distributed. Your MapReduce job will create a significant amount of intermediate data that will need to be transfered between Mappers and Reducers, which is a potential bottleneck. A custom implementation of which interface is most likely to reduce the amount of intermediate data transferred across the network? Can you use MapReduce to perform a relational join on two large tables sharing a key? Assume that the two tables are formatted as comma-separated files in HDFS. You have just executed a MapReduce job. Where is intermediate data written to after being emitted from the Mapper's map method?